Goo Gone removes sticky residue on household surfaces, making it a useful addition to the home cleaning supply arsenal. Goo Gone prides itself on being environmentally safe, according to its website. It is also safe for people, with the exception being if it gets into the lungs. 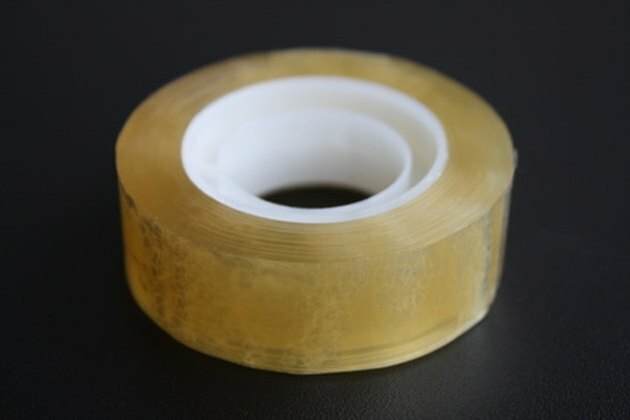 Goo Gone removes sticky residue left by tape, stickers and other items. Goo Gone is considered an aspiration hazard because it contains petroleum distillates, according to the Goo Gone Material Data Sheet. This means that it can enter the lungs, causing inflammation and permanent damage. It is not considered an irritant to the eyes or skin. Flush eyes with cool water for at least 15 minutes in the event of contact. Avoid long-term skin exposure and wash skin with soap and warm water following use. Goo Gone produces no toxic effect when ingested, but vomiting should not be induced because of the risk of aspiration. Keep Goo Gone away from children and use in well-ventilated areas. Goggles and gloves protect the eyes and skin from irritation associated with the use of this product. What Are the Dangers of Pets Drinking Pool Water?